The educational programmes delivered are used by schools from early primary through to senior school education. The programmes are totally inclusive for children and students of all abilities. 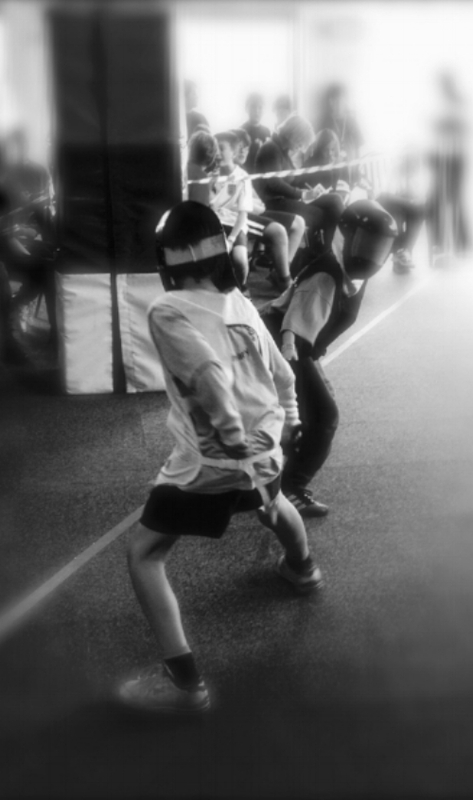 Often called 'chess on wheels' because of the strategic thinking required, fencing provides physical and cognitive benefits for fencers from an early age. Our courses help the fencers develop their motor skills, improves their concentration and gets them to think strategically. They will also learn to make complex decisions quickly, analyse problems and think fast on their feet. The spin offs from this are huge both socially, mentally and physically. Educators are discovering that fencing can not only dramatically improve levels of concentration and self esteem, but also enhance mathematical performance. Fencing helps pupils who suffer with ADD and ADHD to focus. The classes are tailored for boys and girls, and are inclusive of ALL abilities, including physical or mental impairments.They are run by a team of highly experienced coaches, who teach the children about fencing in a lively and fun atmosphere. We run three different types of programmes. Olympic Fencing Days: These are single day activities and are generally run with two by one hour sessions in the morning and two in the afternoon. These are often treated by schools as ‘taster’ or ‘fun’ sessions and can be done for combined year groups. If needed an after school club session can be added onto this day for those year groups who have not been able to take part in the days activity. Curriculum Programmes: These are run in either half or full term blocks and link the teaching of fencing with curriculum based activities such as maths, sports science, languages and PSHE. After school clubs can be added to these programmes if required. These modules also tick all the 'creative and measurable' boxes when meeting the criteria set out by the school sports funding. INSET sessions: The INSET session lasts between 60/90 minutes and has been written to help school staff understand the benefits that fencing can bring to a school environment. Often these are used increase the staffs awareness of the sport and the benefits it brings to the pupils, but also in those schools where fencing kit has been purchased, these sessions act as a great ‘brainstorming’ session for lesson planning and delivery. As we encourage children to stay and develop they will inevitably outgrow the school activity. We therefore have in place a talent pathway that enables children to progress through to the metal fencing programme. The scheme encourages the children to develop to a more advance stage eventually enabling them to take part in various competitions fencing for their club, their school, county and maybe even their country.